This fantastic half day excursion gives you an opportunity to discover Paris's famous tourist sights and monuments. 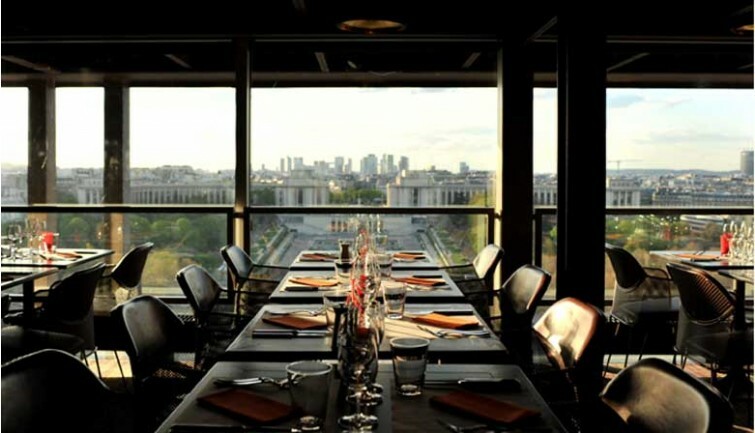 It includes lunch at the restaurant on the 1st floor of the Eiffel Tower, a city tour by panoramic coach, and an hour-long cruise along the Seine River. Experience the beauty and heritage of the French capital in three different ways. Your tour of Paris by air-conditioned panoramic coach will last for one and a half hours: learn about the city's history and its well-known monuments thanks to our audio guide commentary (individual headsets). 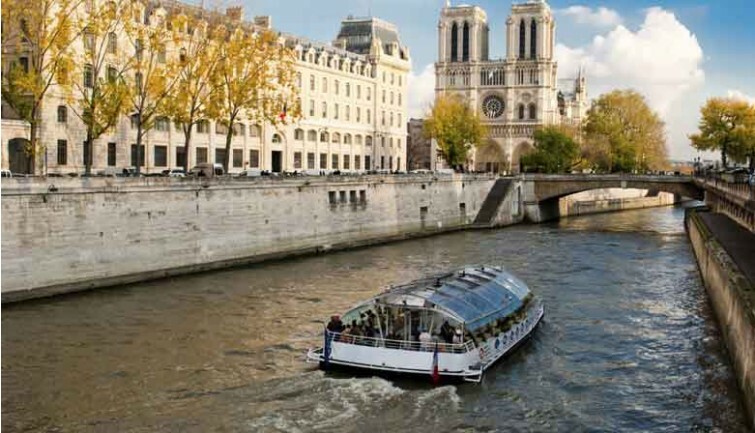 Your tour will visit some unique sights, such as Place de l’Opéra, Place de la Concorde, the Champs-Élysées, the Arc de Triomphe, Place du Trocadéro, the Eiffel Tower, the Invalides, the Pont-Neuf, the Bastille Opera House and its square, Notre Dame de Paris, the Luxembourg Gardens, and Saint Germain des Prés. 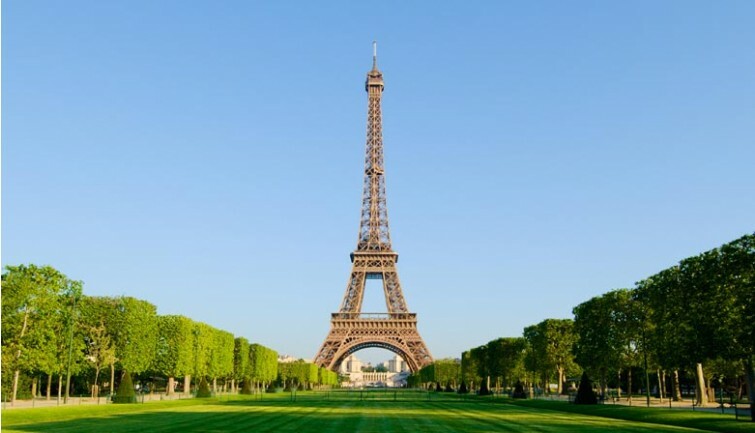 9.00 Departure: City Tour + Seine River cruise + Lunch at the Eiffel Tower. You can reach the 2nd floor taking only the stairs, at no extra fee. You will be able then to purchase the top floor ticket at the cash desk on the 2nd floor. 12.00 Departure: City Tour + Lunch at the Eiffel Tower + Seine River cruise. If you want to take your time at the Eiffel Tower after lunch, you can reach the 2nd floor at no extra fee taking only the stairs. You will be able then to purchase the top floor ticket directly at the cash desk on the 2nd floor. You can do the cruise later on your own from the Port de la Bourbonnais, in front of the Eiffel Tower. Departure every hour until 21.30. It is recommended to inform the hostess about it.